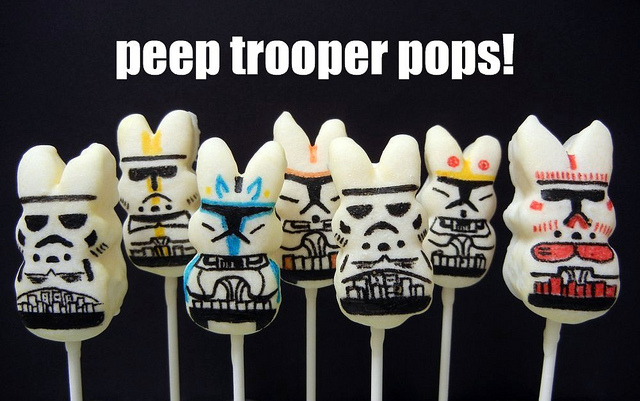 Have a Star Wars Fan in your house? 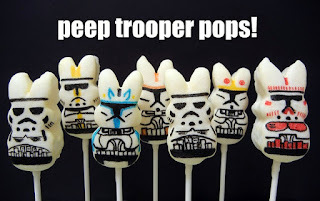 How about these Peep Trooper Pops.. These are so cool. Check out the blog Sugar Swings to see how to make them. 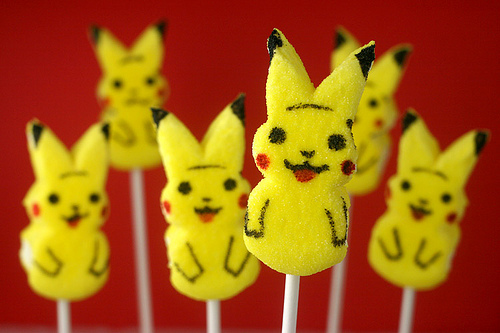 I also adore thse Pikachu Pops by Bakerella. My kids are big Pokemon fans and would love these. How great would either one of these be at theme party this spring. Too bad they don't make Peep bunnies all through the year.